In this step, you have to verify your email id and mobile number which you have provided in the account registration form. Open login form available at https://www.irctc.co.in/nget/train-search and do the first login by entering your login id and password which you fill in the registration form. 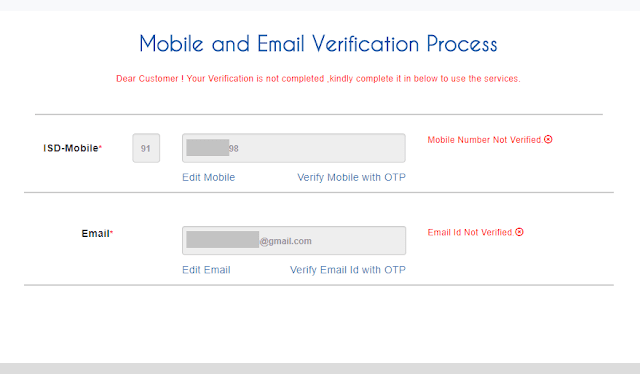 Once your first IRCTC login is successful, you will be presented with Mobile and Email Verification Process screen shown below. 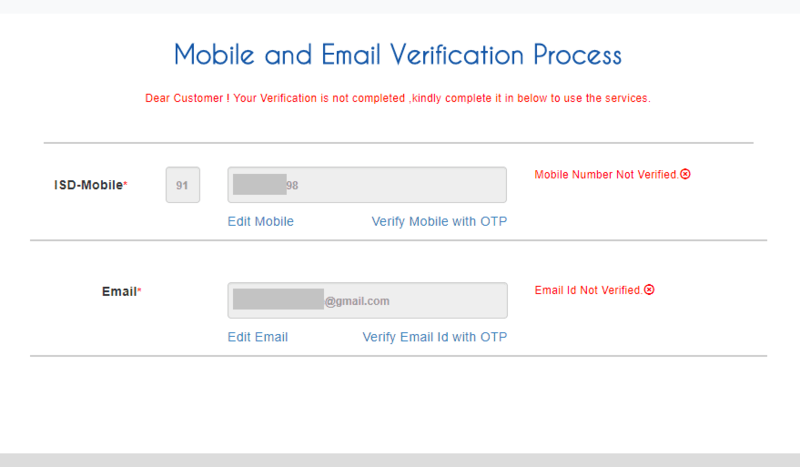 With "Edit Email" option you can change your email id and with "Verify Email Id with OTP" option you can enter the OTP received in your email from ticketadmin@irctc.co.in. Following type of email is sent by IRCTC on registration form submission. Welcome, We thank you for your registration at IRCTC' s Online Rail Ticket Reservation website. Your email id Verification OTP code is : 848151You will use this user id and the password given above for all your transaction on www.irctc.co.in. The user id cannot be changed and hence we recommend that you store this email for your future reference. Note: International/NRI users need to pay Registration fees on first login before verification of email and mobile number. Please note that the Registration fee for International/NRI users is Rs. 100 + GST. Remember not to delete the copy of the above email you get from IRCTC because only it will help you in future to remember your username if you forget it. Now let's move on to the next step. Do you know, this is the last chance to change your mobile number and email?